Born: 15 October 1865, Rome, Italy. Died: 6 April 1931, Vienna, Austria. Arnold Penther, Austrian naturalist, was educated at the Bielitz Gymnasium, Czechoslovakia [now Bielsko-Biala, in southern Poland? ], and at Seitenstetten, Austria. In 1892 he obtained a doctoral degree at the University of Vienna. During 1894-1895 Penther travelled and collected natural history specimens in southern Africa. His route can be partly reconstructed from the localities of his specimens. During January and February 1894 he remained in the vicinity of Cape Town. In August 1894 he travelled northwards to Clanwilliam where he met Rudolf Schlechter* and returned with him to Cape Town in September. The next month he and Schlechter travelled eastwards along the coastal region, reaching Port Elizabeth at the end of November. There he was joined by the plant collector P. Krook*, who collected plants for him on a journey from Port Elizabeth through the Transkei and Natal to the Orange Free State during January to March 1895. Penther accompanied Krook on the first part of this journey, through Grahamstown, across the Great Fish River to Peddie and Komga, because some of his plants were collected at these places, but Krook did all the collecting during the rest of the journey. However, Penther did travel up the coast through the Transkei to Durban during 1895, and spent the winter of 1895 in the northern Transvaal and Matabeleland (western Zimbabwe). There he collected a few plants as far north as the vicinity of present Whange. In addition to plants he also collected shells and arachnidae. After his sojourn in the north Penther returned to Grahamstown, where he remained until returning to Austria in 1897. During 1896 he assisted the Albany Museum by compiling catalogues of its mammal, bird, and osteological collections. He also worked through its shell collection, sorting out the worthless specimens in preparation for the proper classification of the collection by Dr H.F. Becker*. During 1897 he donated 31 arachnidae (belonging to 17 species) to the museum, which he had collected during his travels in places such as Clanwilliam, Mossel Bay, Knysna, the south coast of Natal, Pretoria, Matabeleland, and Grahamstown. From 1898 until his retirement in 1924 Penther worked in the Department of Zoology of the Naturhistorischen Hofmuseums (Natural History Museum), Vienna. In or before 1902 he undertook a journey in Asia Minor (Turkey), which he described in a paper published by the Geographical Society of Vienna in 1902. The plants collected during his southern African travels, including those collected by Krook, were described with the assistance of various experts in four papers under the general title "Plantae Pentherianae" in the Annalen der Naturhistorischen Hofmuseums (1900, 1903, 1905, 1910). 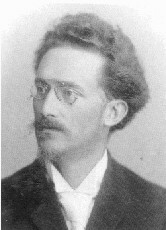 P. Henning described the fungi (1900), while A. Zahlbruckner and others described the flowering plants. The plant genus Pentheriella and species Ornithogalum pentheri, Brownleea pentheriana, Coleus pentheri, and Diascia pentheri were named after the collector. Most of his plant specimens are in the Natural History Museum, Vienna, but some are in the Bolus Herbarium, University of Cape Town. Penther's collection of land and freshwater snails was studied by R. Sturany, and described by him as part of the first major report devoted to South-African non-marine molluscs: "Catalog der bisher bekannt gewordenen S�dafrikanischen Land- und S�sswasser-Mollusken mit besonderer Ber�cksichtigung des von Dr Penther gesammelten Materiales" (Denkschriften der Kaiserlichen Akademie der Wissenschaften, Mathematisch-Naturwissenschaftlichen Classe, 1898). Sturany named the species Gulella pentheri (Penther's hunter snail) and Gulella arnoldi (Arnold's hunter snail) after him. Penther himself described the scorpions he had collected, in "Zur Kenntniss der Arachnidenfauna S�dafrikas (Scorpiones)" (Annalen der Naturhistorischen Hofmuseums, 1900). Other arachnida collected by him were described by the French invertebrate zoologist E. Simon in the Bulletin de la Soci�t� zoologique de France (1896). Cape of Good Hope. Report of the Committee of the Albany Museum, 1896, 1897. Dippenaar-Schoeman, A.S. & Jocqu�, R. African spiders: An identification manual (Bibliography, E. Simon). Pretoria: Plant Protection Research Institute, Handbook No. 9, 1997.